Coffee addicts of the world, brace yourself for validation: new research from Harvard (so you know it's smart) indicates that coffee doesn't just prevent you from acting like a c-word to your coworkers. It might actually prevent suicide. And here you thought "I'd DIE without my coffee!" was just hyperbole. Caffeine, in addition to the jolt it provides to the central nervous system, also acts as a mild antidepressant by boosting levels of several key neurotransmitters in the brain, including serotonin, dopamine, and noradrenaline. These chemicals are associated with a sense of well-being, and the study theorized that this would explain the lower incidences of severe depression among coffee drinkers found in previous studies. As a person who drinks approximately one metric oil drum full of coffee every morning before 9 am and becomes genuinely agitated when I can't get it (ahem coffee shop around the corner from my apartment that doesn't open until 9 am some days WHAT THE HELL IS WRONG WITH YOU I HAVE NEEDS! ), I initially felt pretty smug about this news. Well well well, I thought, directing my brain waves toward the last person to raise their eyebrows at whatever enormous receptacle of black coffee I was carting around at 4 pm. Well well well. Who's the dumb one now? So it turns out, embarrassingly heavy coffee drinkers, you and I are still the dumb ones. 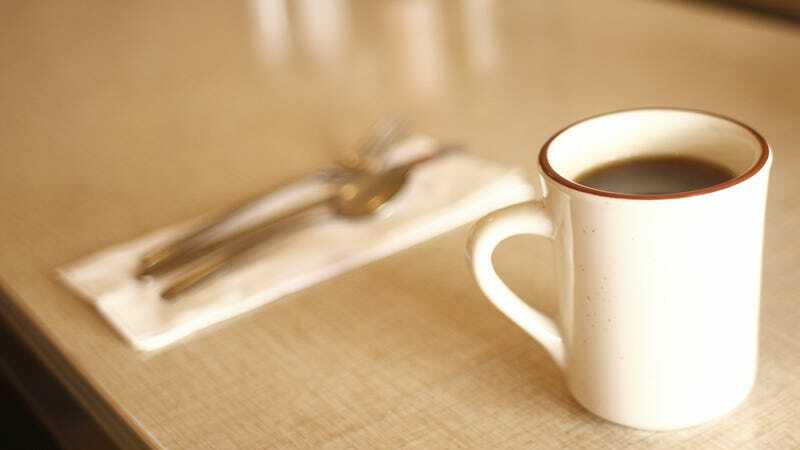 The study found that massive amounts of coffee consumption — north of six cups per day — actually increased participants' suicide risk.